What Is the “New SEO” or “SEO Essentials” ? The year 2014 came with many misconceptions among SEO marketers even we noticed sparking headlines “SEO is dead” and that became viral. But in fact neither title true nor will it. The value of SEO has increased and playing a central role in online marketing in nearly all business. Let’s take a brief look upon main SEO essentials factors that led for long years 1) Keywords and 2) Links. Earlier it was very important to add keywords in content that help search engine to find keywords from your website and links needed to help website to rise in search ranking. It is fact that above ranking factors still play major role in search. But these two factor extremely used by spammers in order to manipulate search ranking of low quality websites. Google ever advice to marketers to improve end users experience at website and provide high quality content, proper navigation that earn links itself. As recent Google updates has cleared that poor SEO tricks will not help to improve any low quality websites in search engine so it’s important for small business to follow right path or SEO marketing. Google update 400 to 500 times in a year to make search better and to discourage spam activities which are making search worst. In a quality online marketing it’s really important to keep updates SEO strategy as per market standard to follow ongoing SEO mechanism including search communication, content building, social media engagement, and all the way companies use connect with its consumers online. Now you would be able to understand how Google boat crawl and index. I am not going explore links building tips as I know there are numerous fabulous post is already done that may help to create an better strategy. I can recommend 31 links building tactic to create an useful links building strategy that must be use in quality approach. I am also fan of #Moz blogs. There are many argument among people that social media has role in SERP or not. Although social media is ever useful to increase the communication with visitors but effect on SERP was questionable since Google plus entered in market. After Google plus this questions have converted into Full Stop. On some recent posts by Google it has been cleared that getting more shares in social media can help your website traffic and it’s admirable when more people see your site or brand. But unfortunately most of the business do not take it seriously or not update frequently on their business pages. I have questions for them – What is your motive behind having business profile on social media? Social media is two way communications channel that also known in business for its flexibility of interaction. One thing I like about social media that small to large business gets same opportunity to promote their business. All business use same tools or functions in social media in promotion activity which ensures high opportunity to small company to find new visitors. In short if you like to get ranking and branding on social media website you need to love Pintrest, Facebook, Twitter, LinkedIn and other social media websites. Google authorship has changed the previous game and now it has become major part of content marketing, now writers use Google plus to show their expertise to get big jump on Google ranking. However still there is no clear statement by Google that how Google author profile impact on search engine ranking. But in my view there is quality concerned as Google author rank does not depend only content quantity that you posted but the quality output that you achieved by content. There is proverb that absolutely suit in content term “Quantity Helps but Quality Rule”. 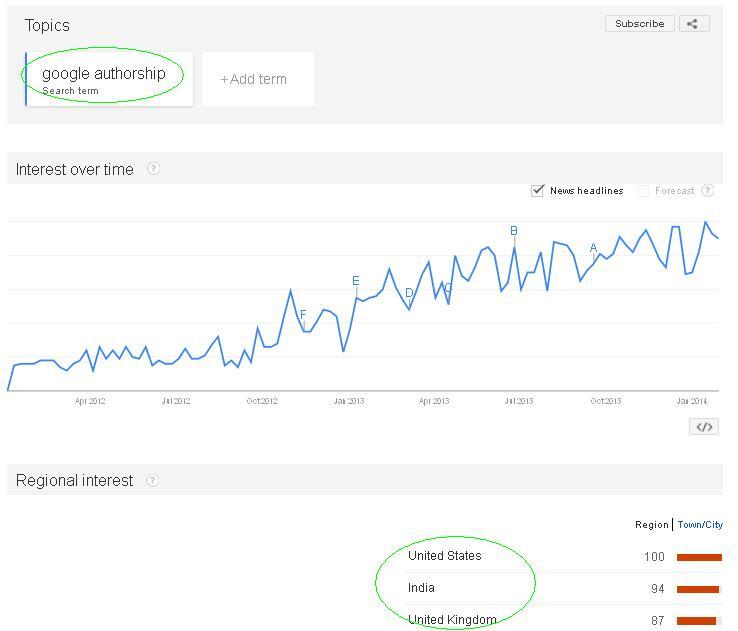 We may have noticed that for few years a lot or organic traffic taking interest towards Google authorship. I ask in my community about keywords research planner and almost all replied that this is an awesome tool. I have even found many blogs that tell the sweet story about keywords planner. But while I asked by the same people that which tool you like most keywords research tool or keywords planner? You know, they still are missing previous keywords research tool. We can also assume it by knowing that SEOs are looking for alternate options of keywords planner. From decades Google keywords research tools was the first choice of business for keywords researching but since secure search implemented in search, people started to look others keywords research tools. Even I can’t deny the popularity of Google keywords planner but still it’s less popular than previous research tool and I personally recommend people to use more than one tool for keywords researching. Nowadays few essentials tools are very common in the SEO industry and some of them are keyword difficulty tools, Google keywords planner, Bing keywords research, word Tracker, SEM Rush, YouTube Keywords suggestion tools etc. Some people may disagree with me but I don’t because I know spammer will keep search new tricks to manipulate algorithm. I let you know some link building techniques name that heavily used by spammer like, Article marketing, Press release, Page Rank, Guest blogging, Forums etc. All of this technique was major sign in search engine ranking but on these days you can hear it from expert that article marketing isn’t useful anymore as these sites are full of thin contents and consider as low quality links. Same words are for other techniques. I like to share a few words from The Anatomy of a Search Engine that explore the importance of few techniques to improve search quality. The above marked trick is heavily used by spammers and has lost importance as it was in past time. A good page rank cannot be only sign of great ranking and over optimization of target keywords may harm website ranking heavily. Although Google hasn’t made any big updates on quality guidelines and still we can find that Google appreciate quality work with good rank in search engine. If you can provide great experience to end users then there is higher chance to get ranking in Google. It was great to read you. After reading your content there is one concerned in my mind that authorship is really famous on these days but I am not sure how it’s giving positive impact on ranking. Many link builders post content on others blog for the sake of getting links and credit of writing goes to the publishers. However, such contents are not even more broad on subjects neither useful (in my personal experience). So my question is that how search engines can extract spammers, as well as it’s very difficult to treat it as spam activity. How you look New SEO here? HI Punit, Firstly I personally like to thank for your comment and it’s great to know that you enjoyed my writing. Now step ahead – FYI Google has already detected this issue and has warned the blogger to escape from people who talk for links. Thanks for the quick response Vikas. I am agree with your points and also like say good luck for your blogging journey. Hope to see more blogs from you.